Did you know you can now order your Just Eat takeaway from The Dalchini Restaurant here on View? 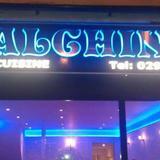 For an exquisite tasting Indian menu and a chilled out dining experience Dalchini Restaurant is the place to visit. Do you work at The Dalchini Restaurant? What did you think of The Dalchini Restaurant?